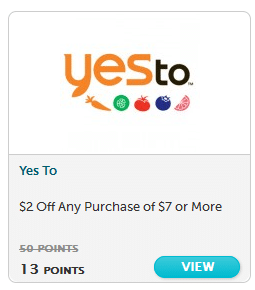 There is yet another new Zevia coupon available on Mambo Sprouts. 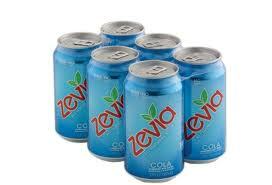 You should be able to print two copies of this $1 off any Zevia 6-pack coupon. Take a few minutes and earn an easy 120 points on Recyclebank. 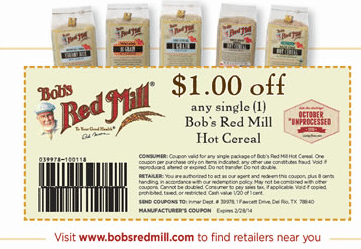 Bob’s Red Mill coupons are hard to come by, so I’m happy to see this new, high-value $1 off any Bob’s Red Mill hot cereal coupon. Just go here to print it. 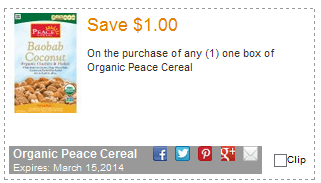 Simple Truth Organic Coupons- Reset! I’m really excited to introduce this new cash back program, Checkout 51. 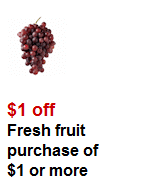 It’s a super simple way to earn cash back on your natural and organic grocery purchases, without having to clip coupons. 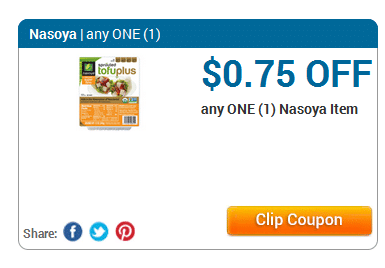 There’s a new $.75 off any Nasoya product coupon available to print. 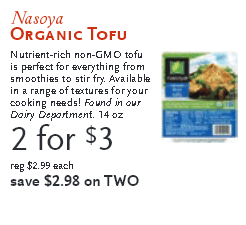 Consider using this coupon at Whole Foods this week to get Nasoya organic tofu for just $.75! 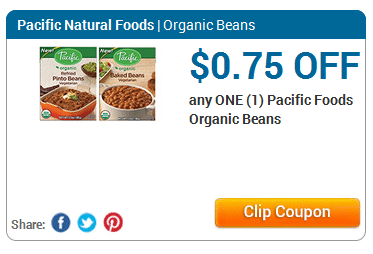 Mambo Sprouts has released two new Pacific Foods coupons. Just click the links below. You should be able to print two copies of each.